Thanks to its solid construction and user friendly operation, the new CW13 EX BT general-purpose cabinet washer is ideally suited for efficient batch washing of a wide range of items, including trays, machine components/change parts, weigh pans, buckets and utensils. 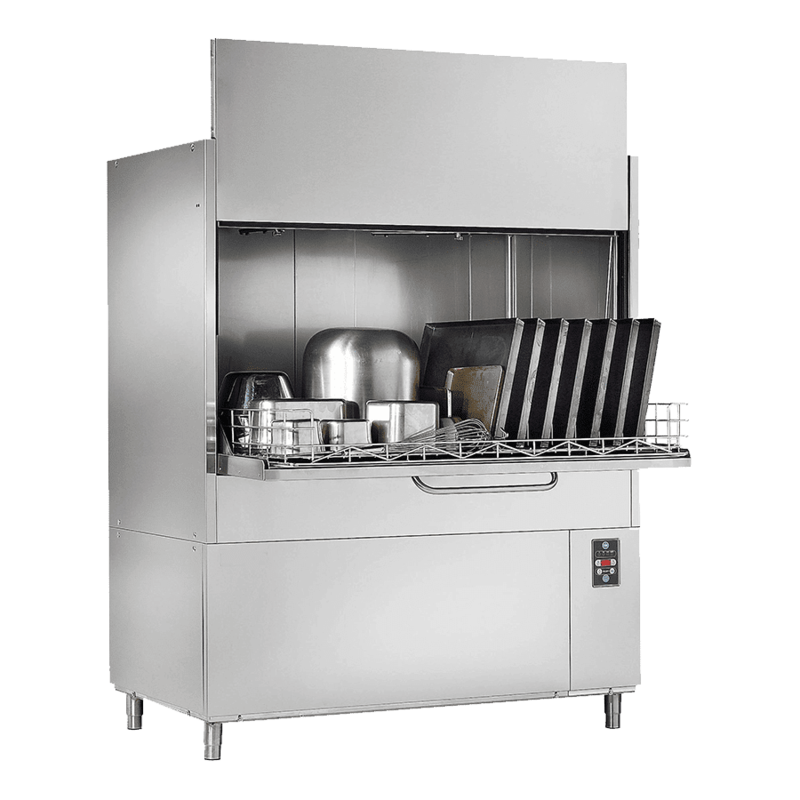 With its relatively small footprint, the washer can sit in any deli or café kitchen, and has been designed with hygiene in mind, with an internal self-cleaning function and the interior of the machine being completely rounded with no right angles. The machine is supplied with standard re-enforced pull-out washing trays measuring 1320mm x 700mm, and can accommodate items up to 820 mm high. For convenient handling of heavier items, such as machine parts, smaller trays are optionally available. Washing is accomplished by sustained jetting from rotating spray arms to ensure that all surfaces of the items to be washed are cleansed effectively. Supplied from an electrically heated tank, the wash water is automatically dosed with detergent. In order to minimise water, detergent and energy usage, the wash water is re-circulated via an efficient suction filter system that protects the wash pump and prevents residues from being deposited in the wash system. Throughout the three exhibition days, expert engineers from the IWM installations team will on hand, and will be pleased not only to discuss the benefits of the company’s products, but also to provide advice and guidance to exhibition visitors on the best and most economical ways of addressing their own specific requirements.